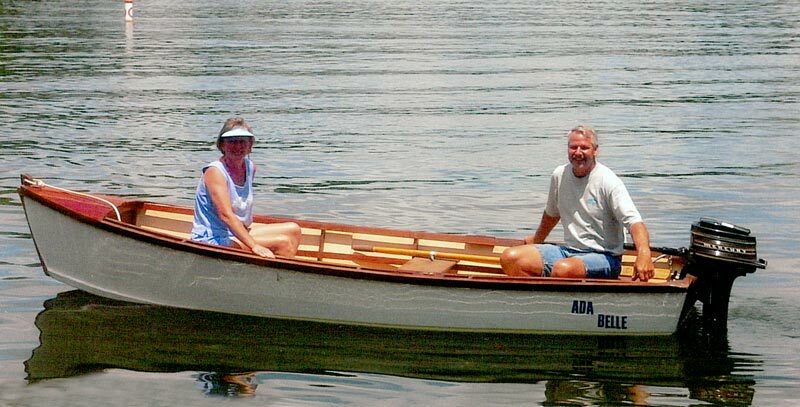 Named after builder Bill Terry's wife, ADA BELLE is a Ken Swan Little Gem rowing skiff. The frame is mahogany with plywood bottom and sides. 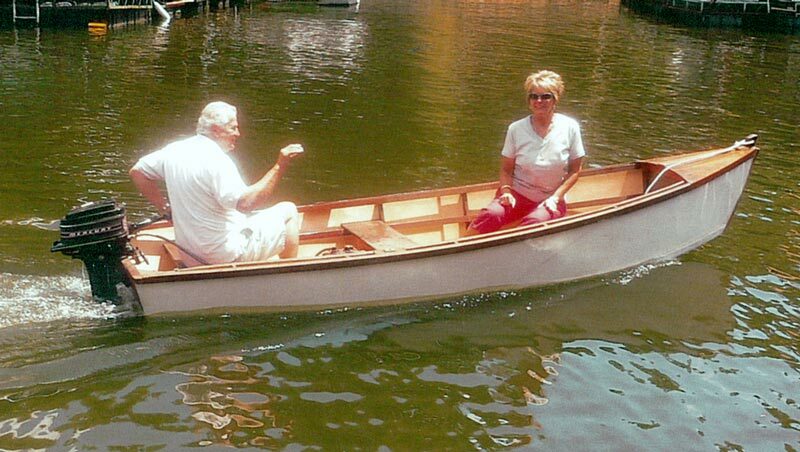 Built for use on Lake of the Ozarks in Missouri, Bill reports that his grandsons love the boat and that she is easily rowed and handles well. 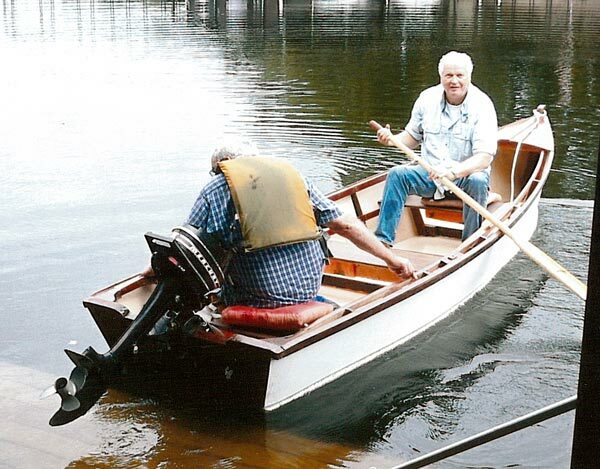 When rowing is not in the cards, a 4hp outboard takes over.